Construction sites can often be quite messy due to the excess of work being done and the type of work that needs doing. This isn’t an excuse to leave junk lying around after you’re done, though. Every environmentally conscious construction firm will take care of the waste they create on the spot. What’s more, you can’t show your community you care about it if you’re polluting it and leaving someone else to clean up your mess. Social responsibility is a big trend right now, pushing each industry to think about how their actions affect society. It all starts with you. Before you even start construction, your first job is to ensure there is minimum waste. This means that you’ll need to pay close attention to the materials you’re using. Similar materials can be shipped together, thus involving less packaging and therefore less waste. As well as that, you should think about recycling. This way, you won’t feel bad about wasting anything as it can just be recycled and used again. In the age of eco-friendliness, finding recyclable materials is easy, but often even cheaper than opting for conventional methods. Thus, you’ll be minimizing waste, helping the environment, and keeping the premises clean all with one simple change. The materials you didn’t get to use don’t have to be thrown away and disposed of. Instead, you can donate. There are a ton of struggling construction firms that are only starting their career in the business. You can help them develop by giving away your materials that are still in good shape. Don’t think of this as helping the competition. Instead, think of it as making friends. Regardless of what kind of line of work you’re in, everyone can use a friend. Collaborating with another firm opens up innumerable business opportunities and allows you to expand your work in ways you haven’t thought possible. You donated your materials now, and one day they might be able to give you something you need. If nothing else, you can rest easy knowing that you’ve successfully managed your waste and put the items to good use. At the end of the day, isn’t that what really matters? Though this may be your business, and you may be the boss, your associates with more experience may be able to give you valuable input on how to handle your waste. For example, the architects you’re working with will easily tell you which parts of the construction will need faster waste clearance in order to ensure efficient and uninterrupted work. This can help deal with potential issues and even eliminate some safety concerns. Your builders are once you should listen to, as well. 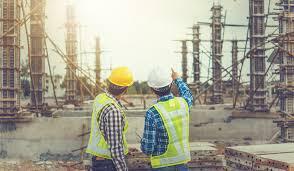 After all, they’re the one with all the hands-on experience, meaning they’ll be able to tell you exactly what kind of problems you can expect with waste on big or small construction sites. They also may have valuable ideas on how to manage waste and get done with work more quickly. Australians have yet again come up with an efficient, convenient, and cheap solution to the problem of waste management. You won’t see any Aussie construction sites overflowing with wastes or any streets polluted because of construction work. This is all possible when you hire them from a firm like Skip Bin Hire, which gives you containers to put away the waste. It doesn’t end there, though. You don’t have to do much but let the professionals take care of the waste for you. Not only do they clean everything up, but they also carry the waste to the wasteland. This allows your workers to continue working uninterrupted, thus not putting a damper of efficiency and productivity and allowing you to finish early. As you’re working, you’ll notice that there are plenty of similar materials. You can set designated areas for different materials and encourage your workers to dispose of things accordingly. This will save major time cleaning up. It will also allow you to see how much of what you’re using, and what can be salvaged or recycled. With this method, the organization will be the key to the entire construction process- it won’t be just something you strive to implement once the project is done. Segregation is a valuable lesson for your employees on safe and responsible behaviour, as well as a money and time saver for you. Waste management may seem like something you will have trouble wrapping your head around, but it’s actually quite an easy process when you’ve got your organization figured out. Your construction site will be one of the cleanest the community is yet to see, giving you the deserved title of a professional who doesn’t just care about themselves. Marquee Letters: Lights and Sparkle Add the Extra Zing to your Event!